Red ripe strawberry fortune cookies hand-dipped in white chocolate, then decked out in blue tourmaline bling. 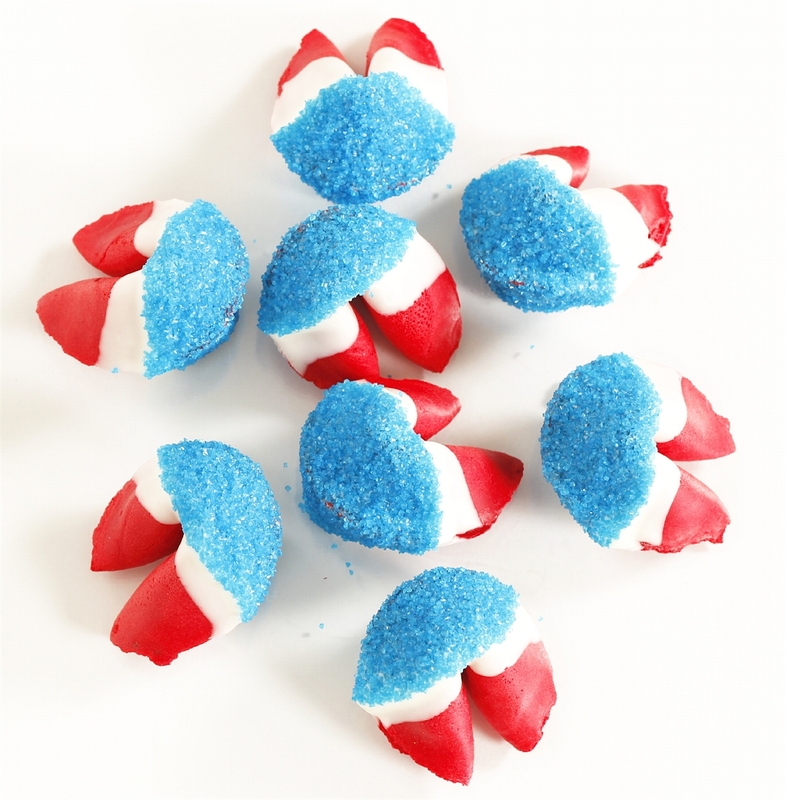 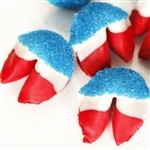 These Firecracker Fortune Cookies are all dressed up for July 4th celebrations and patriotic events. We have taken our sweet strawberry flavored fortune cookies, and hand dipped them in our finest Belgian white chocolate. 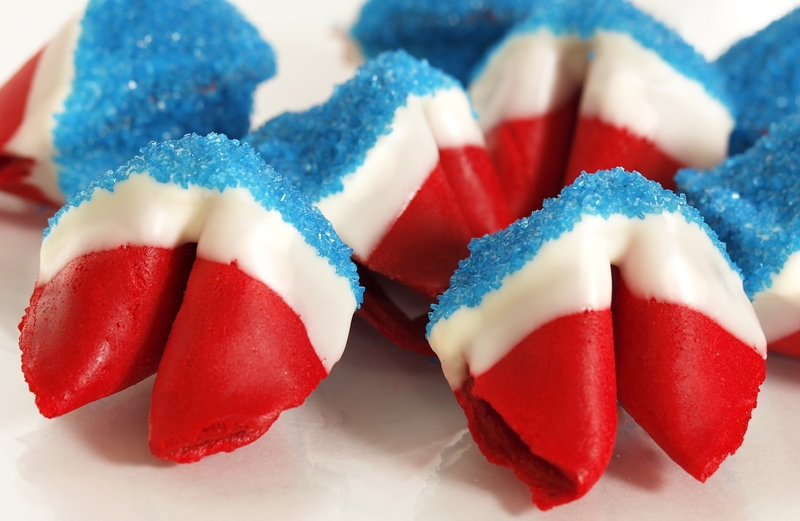 The crowning touch is the stripe effect created by our blue tourmaline bling sprinkles. 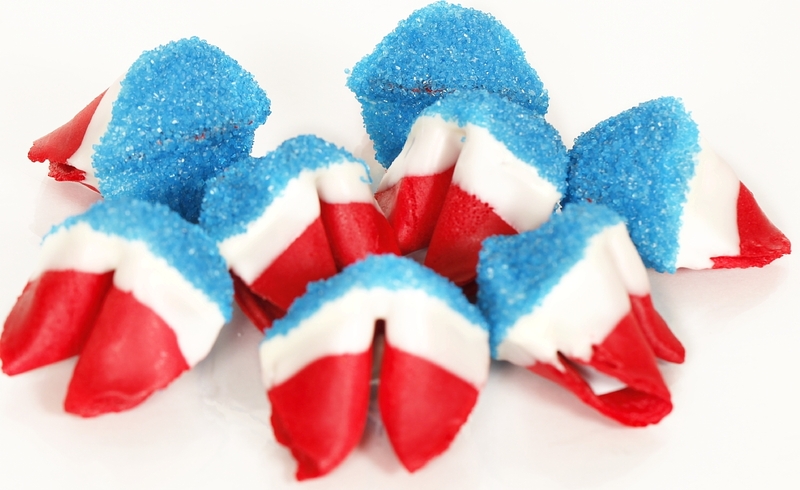 Nothing's more American than the fortune cookie!